If you need to print a package agreement, confirm a signature, or make updates to an existing package you can do this under the group profile>year>yearly info>packages. View/print a PDF version of the contract agreement. 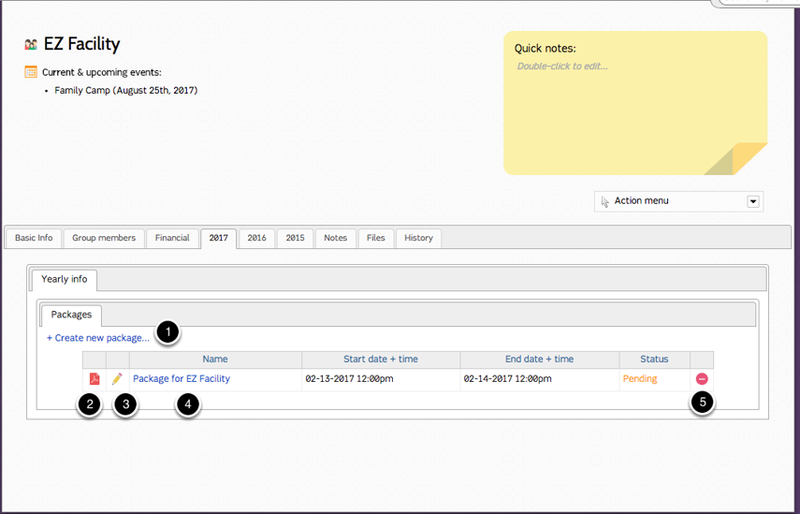 Change the status of a package from pending to signed, and/or choose to allow a group leader to see this from their dashboard. Click on the package name to edit details. Double click on the red circle to delete a package. 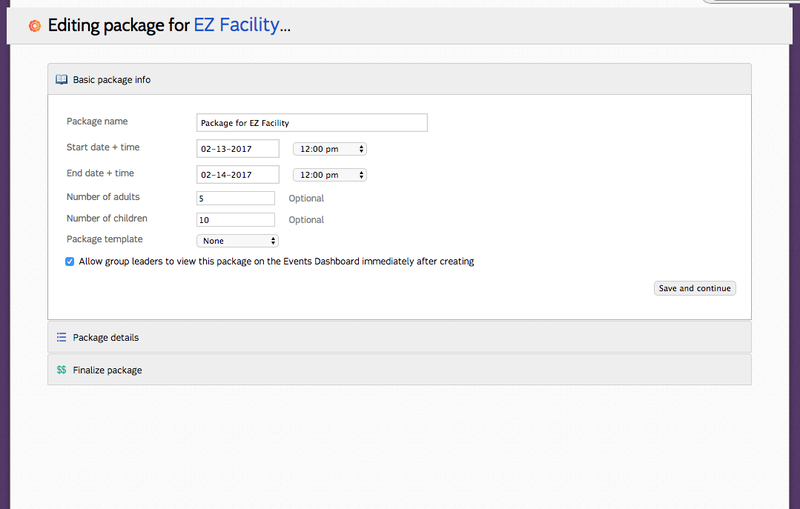 By clicking on the name of the package (step 4 from the previous screen) you are brought back to the package wizard. Here details maybe be edited and updated to the package agreement.